Forums » OFFICIAL NEWS » Pocket Worlds Creator moves to closed beta testing! Pocket Worlds Creator moves to closed beta testing! 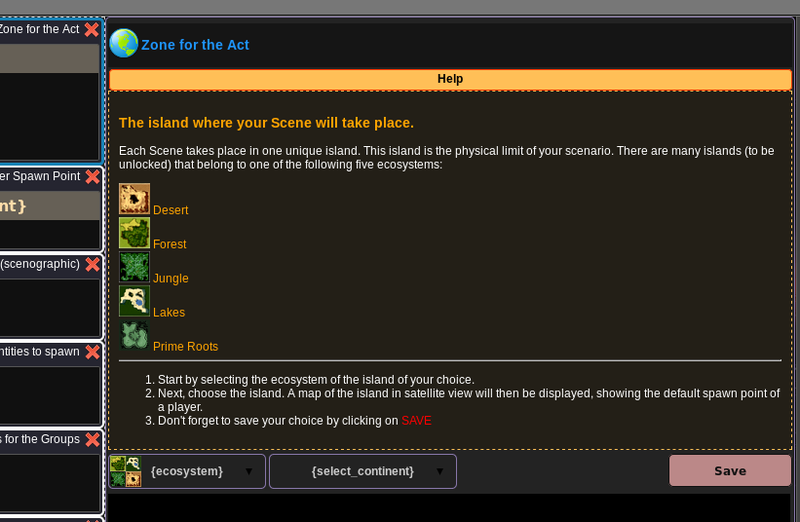 Following the release of the Scenographic Editor, which already allows you to create your own scenery on game islands, we are pleased to announce the imminent release of the Scenario Editor, which will allow you to enrich your islands with creatures, NPCs and missions. The combination of these two Editors, allowing to create authentic worlds, is called Pocket Worlds creator (known as PoWo Creator). It will be available for beta testing as of February 28th on the test server. What is a Pocket World? Ryzom Team has already begun to use independent environments, known as Ring islands, to create recent events, in which you may have taken part. 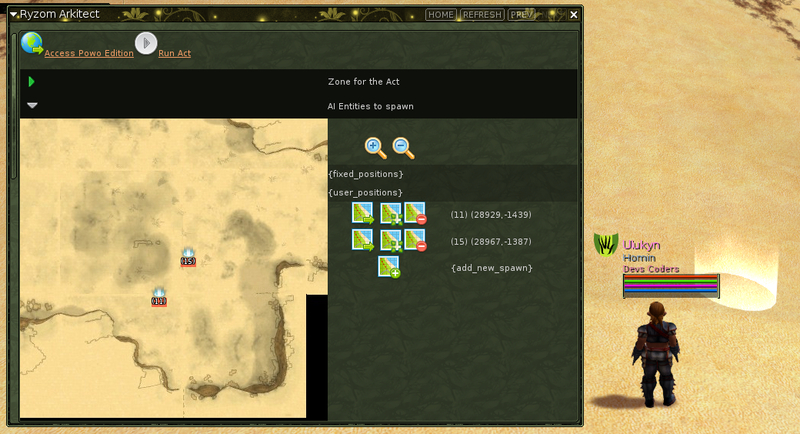 Some of you have already tested it, using Scenographic Editor to decorate islands. These islands, enriched with scenery, creatures, even NPC’s, as they come to life within the Pocket Worlds Creator, they turn into your pocket world: PoWo to your friends. What is possible with Pocket Worlds Creator? - Choose an island among those available in the five ecosystems. 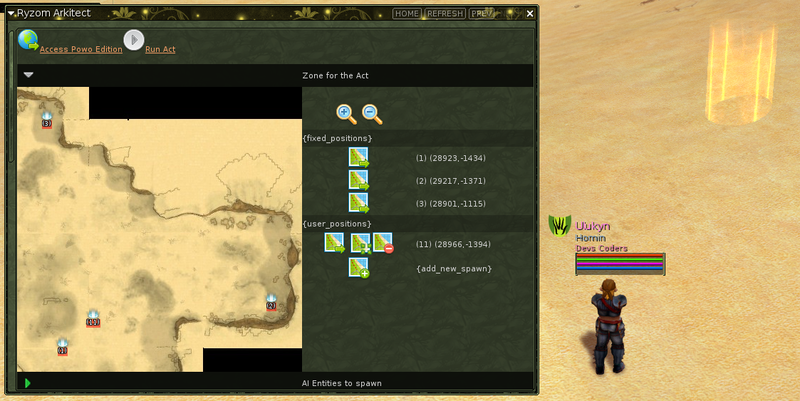 - Add spawn points for the players in addition of the default one. 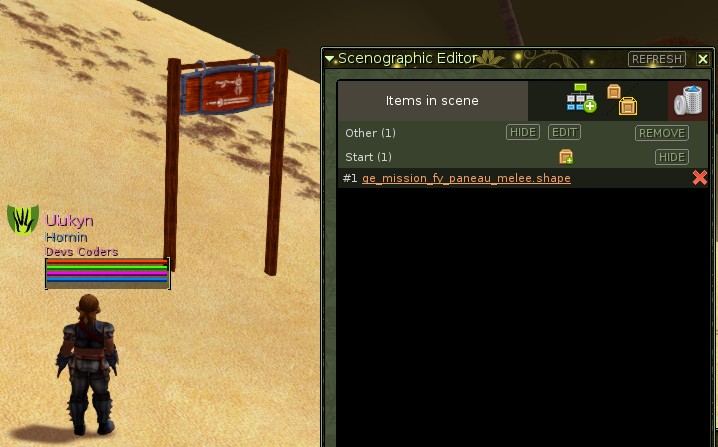 - Place as much scenery as you require, using the Scenographic Editor, directly into the PoWo. - Add creatures and define their behaviour (attackable or not, aggressive toward players or other creatures, mobile or static). - Create dialogues which will allow creature to speak and to give missions to players, making your PoWo more interactive than ever. For those who have known the Ryzom Ring, this first version is close to that idea, but proposes a totally different creation method. Particularly, PoWo will be available all the time (The creator won’t have to be connected). The players will be able to create their own instance but also join those proposed by other players. How to use Pocket Worlds Creator? 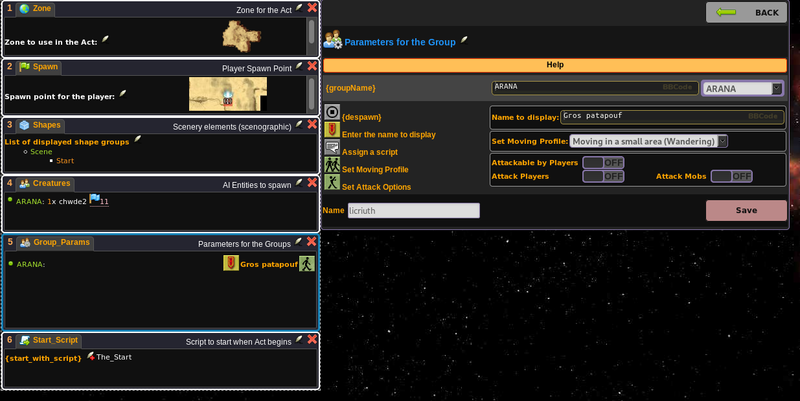 Pocket Worlds Creator, based on Ryzom Arkitect (Ark), has a friendly interface and support pages. The PoWo editor is accessed through a web browser. Numerous options allow you to choose the island, pop up NPC, objects or creatures. You can then make them speak and, if you want, give missions to players. Some models are available to be modified, adapted, improved and finally tested with your friends. You can also take the plunge, of course, and create your own PoWo A-to-Z! Will Pocket Worlds Creator develop? Yes, because we will rapidly and widely improve the Pocket Worlds Creator capacities over time, to make it an extraordinary tool for innovative and original creation. How to be involved in the closed beta testing of the Pocket Worlds Creator? If you already belong to Ryzom Forge testers and have a test account on “Yubo” you will automatically receive an invitation to join the Pocket Worlds Creator beta test as for the February 28th. If you don’t have an account and wish to participate in the beta test from February 28th, you can now apply by email to Tamarea (tamarea@ryzom.com) specifying the name of your Ryzom account, the platform you are using (Windows, Linux, Mac) and the language in which you would like to perform the test (German, English, Spanish, French). As soon as the beta is closed on the test server, the open beta will start and Pocket Worlds Creator will be available for all players on Atys. The Ryzom Team remains at your disposal for any additional information, and offers best wishes to you!